The deadline for abstract submission for the 2010 Joint Navigation Conference has been extended to Friday, February 19. The 2010 Joint Navigation Conference (Guidance, Navigation and Control) will take place at Wyndham Orlando Resort in Florida, USA from June 7 to June 10, 2010. The conference theme is "Military Navigation Technology: The Foundation of Military Ops." It is cohosted by the Joint Service Data Exchange (JSDE) and the Institute of Navigation (ION) for the U.S. Departments of Defense and Homeland Security. Paper abstracts are due by January 20 for the 2010 AUVSI Unmanned Systems North America conference next summer. They must be submitted online at the AUVSI website. Paper abstracts are due on Friday, March 12 for the 2010 Institute of Navigation GNSS conference. 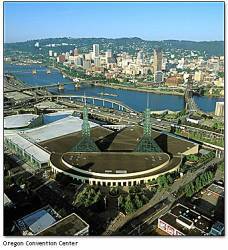 It will take place at the Oregon Convention Center in Portland, Oregon from Tuesday evening, September 21 through Friday morning, September 24. This will be the 23nd international technical meeting of the Satellite Division of ION. 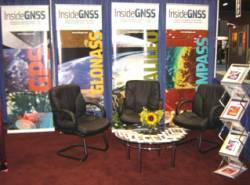 It is the world’s largest and oldest GNSS conference, founded in 1987 as the ION GPS conference. The European Space Agency is sponsoring a free three day event in Brussels, Belgium to showcase new satellite navigation innovations and to encourage collaboration between small entrepreneurial companies and the major corporations involved in the buildout of Galileo. Col. David Goldstein, the GPS Wing’s chief engineer, will chair a panel discussion on SVN49’s current status, issues and options for moving forward at the Institute of Navigation’s ION GNSS 2009 conference in Savannah, Georgia on Wednesday, September 23. Goldstein will be joined by Col. David Madden, GPS Wing commander and representatives from Lockheed Martin, navigation payload contractor; the 2nd Space Operations Squadron at Schriever Air Force Base that fly the GPS satellites; and members of the civil GPS community. Open House at the German Aerospace Center (DLR) near Munich, Germany. GNSS Signals 2009 will take place at the German Aerospace Center (DLR) in Oberpfaffenhofen, Germany on Thursday and Friday, December 10-11 2009.
evolution of Galileo and other GNSSes and a number of GNSS signal processing and observation techniques. The presentations and papers will be in English. Program committee cochair Jean-Luc Issler of CNES, the French space agency, said the first call for papers has gone out and abstracts are due before October 2, 2009.